For PontoonForums Members only... This is your Discount page! If you leave this page to go to MAIN or CUSTOMERS PICTURE pages, you will have to use your BACK button to get back here. This page's only entrance, is from PontoonForum found in my signature and the link Mike made. It was designed for group members only! 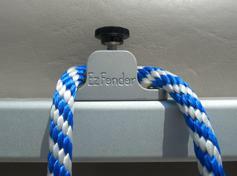 EzFenders provide a permanent solution to tying your bumpers onto your boat. 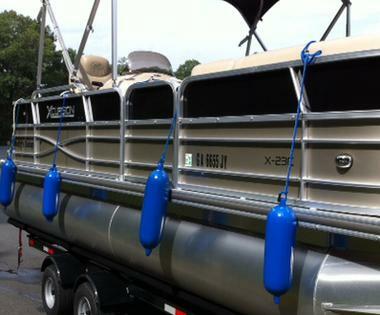 No more tying around railings, grab handles and out of reach dock cleats. 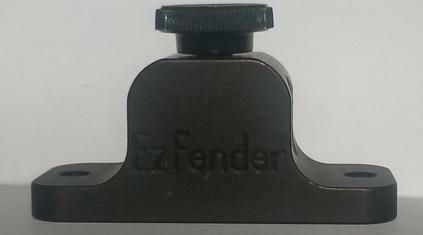 EzFenders can be mounted on Runabouts or cruisers. Easily mounted on top of or below Pontoon boat railings.Securing bumpers and adjusting the height can't be easier, with EzFenders on board. 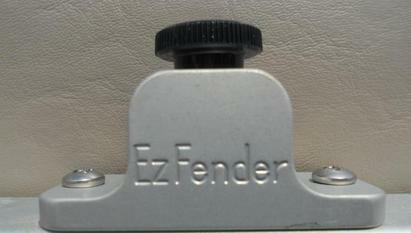 EzFenders retail price is $29.95 per pair. In appreciation PontoonForums, (which I am proudly a member of) I made a discount available for members. Which takes the price to $26.95 for the first pair and continues to drop for up to 6 pairs. Shipping is $3.00 for up to 6 pairs for US customers. $14.95 shipping for Canada customers. We accept PayPal and Major credit cards with no Paypal account needed. To purchase, use one of the "Buy Now" buttons to the right to choose your ship to area. Add your quantity and color desired through the drop down bars. PayPal will do the rest of the work for you. Orders will normally be delivered within 10 days. 2 colors are available. You can choose from flat black anodized and our original silver. The black matches most black powder coated and anodized railings. The silver contrasts very nice with silver painted, coated and anodized railings. EzFenders integrate so well with your railings, they will give your boat a "from the factory" mounted appearance, everybody loves! 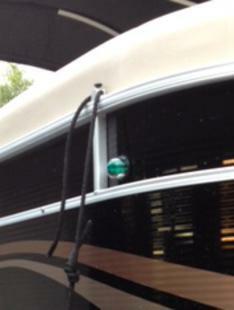 Simply the best pontoon boat bumper bracket around!! !